Looking for an Irish option that’s less expected than Aidan or Connor? With a warm welcome to my newest neighbor, Torin is our Baby Name of the Day. 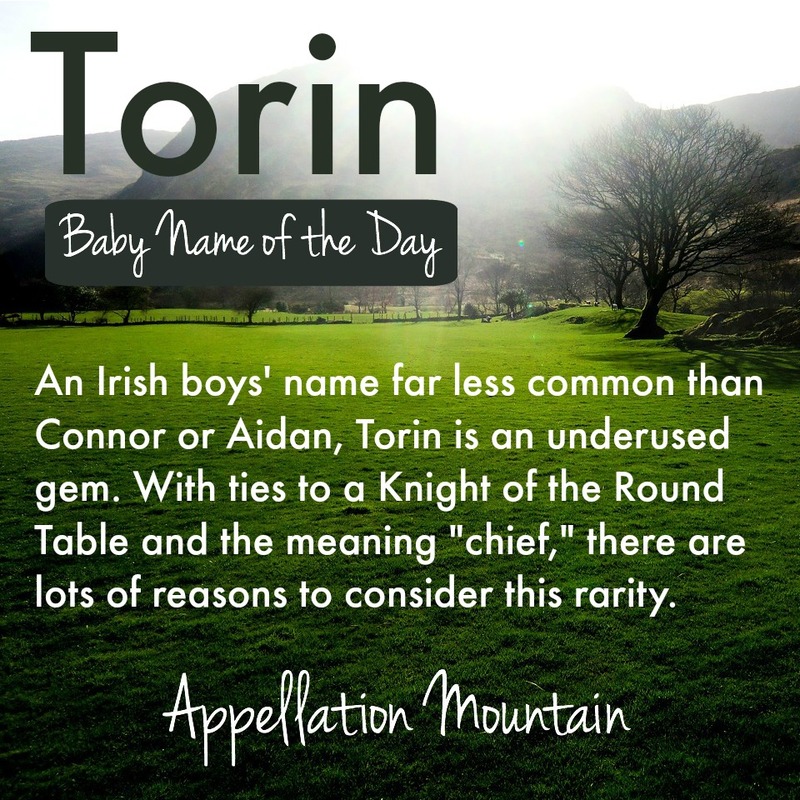 Every source agrees: Torin is an Irish name, and means chief. 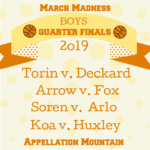 Usually an Irish name comes with layers of related names and surname forms, but Torin is surprisingly spare on detail. Some suggest it’s related to the Norse Thorfinn or Torfinn. But that would change the meaning, since they come from Thor – as in the god, whose name means thunder. Maybe not. The Irish Dictionary Online offers one translation of “chief” that feels close to the mark: Tiarna. Tiarna seems to translate best as Lord, but that still tracks. The Irish word for thunder is toirneach, and while I’m losing some of the threads, it looks possible – though far from confirmed – that there could be a link between toirneach and Tiarna. Camelot gives us a Knight of the Round Table known as Sir Tor, a prince raised as a shepherd who becomes one of the first to join King Arthur’s team. Torin is a name that rules, but is far more subtle than recent favorites like Royal and Reign. The name has seen some sparing use over the years. English actor Torin Thatcher served in World War II, then had a long career in film and television, usually playing a villain. He appeared in many a famous film, including “Mutiny on the Bounty,” and regularly appeared on stage, too. Later in life, he appeared in a first season episode of the original Star Trek series – it’s famous as the first time the Prime Directive is mentioned. A 1995 video game called Torin’s Passage introduced us to a farmboy from the planet Strata, on a quest to defeat the evil sorceress Lycentia. Actor Toran Caudell appeared on 7th Heaven and other television series in the 1990s. American cross country skier Torin Koos has competed in three Olympics. None of those figures are household names, but it’s enough to see some use of Torin over the years. Torin has quietly caught on. There have been more than five boys given the name every year since 1956, and a slow, steady increase in use. 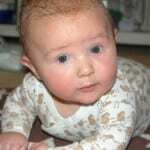 By 2014, there were 165 newborn boys named Torin, along with ten girls. Toran saw some use in the 1990s, probably thanks to the actor. But it’s always been rare, and there were just seven newborn boys called Toran in 2013 and twelve in 2014. Toryn was given to 28 boys in 2014, as well as 17 girls. Another interesting thing: despite the success of Tori and Lauren, this name seems solidly established for boys. Torin really succeeds because of his sound. We’re wild about two-syllable, ends-in-n names for boys. Even as Aidan and company fade, we’re busy inventing new possibilities, like the -axtons and the -aytons. But there’s no need to create names from scratch. There are plenty of possibilities that fit the trend, and have intriguing backstories, too. 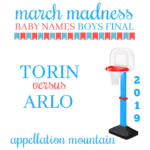 While Torin’s origins are elusive, there’s plenty to like about this name: a strong meaning, a connection to Arthurian legend, and a sound that is perfectly on trend for 2015. Do you think two-syllable, ends-in-n names for boys will continue to be popular? Or are you ready for a new sound? 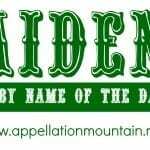 that name @ birth by my mom & stepfather . that’s why I looked it up ! Torin is an awesome name with a wonderful meaning. I like its meaning “chief” and connections to Thor. Tauren Wells, though spelled different, is a notable namesake. He’s a solo artist and former front man of Royal Tailor. Oh, I love the spelling Tauren! I’ve come across the Scandi Torunn, too. And of course there’s the Welsh Taran/Taron, as in Edgerton, which seems to be related to Thor, too. Though Tauren makes me think of the Latin taurus – bull. Love this name…my husband and I have already decided that if ever have a second son, we’ll name him this! (Our first boy’s name is Iver). I like how it echoes strong Norse names like “Thor” but fits in with our heritage in a more realistic way (Anglo/Scottish/Irish). Ooh … Iver is great, and Iver and Torin together are SO handsome! Well I’m a little late with this reply but just saw yours–thanks!! 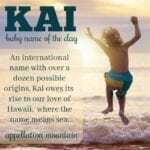 I went on a bit of a name-hunting tear after our close friends “stole” our planned boy name, completely by accident, when they had a baby son last year 🙂 Love your blog and your Name Sage posts too! Torin is also Scandinavian: a male form of, and a female variant of, Torina, which is an elaboration of Tora, which is a feminine form of Thor, and also a diminutive of Victoria. I have a relative named after the Italian city Turin, but pronounced like Torin. She is a woman, also! I’ve always loved her name. A good friend of my daughter’s is named Thorin, an excellent choice. I’ve never seen Torin identified as an Irish name before; certainly it’s not a traditionally Irish name! 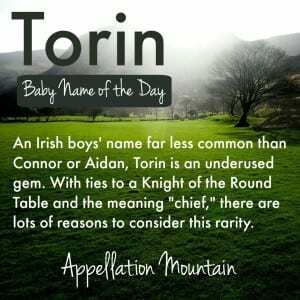 Torin is Gaelic Irish and it means Leader or Chief. No, it’s not traditional, but that’s what I love about it. I named my son Torin James and it is the perfect name for him. No other name could fit him. I knew it was the right Gaelic name when I first found it and it fit my son from the moment he was born. I can’t fully explain it. It is a very strong name for a boy who likes standing out in a crowd and being unique. His first three years of school, he just wrote “Torin” on his papers. (His last name has eleven letters, so that was helpful.) Torin is strong, confident, outgoing, articulate, passionate, intelligent, and has the quickest wit I’ve ever encountered. He lives up to his name. My son, Torin, is now 27 and has met or heard about five other males named Torin in his lifetime. He LOVES that. He gets a ton of compliments on his name and has had two people name their sons after him! Not bad. I live in Canada and am 39 years old I have only herd my name Torin once. My mother found the name in an old love novel.